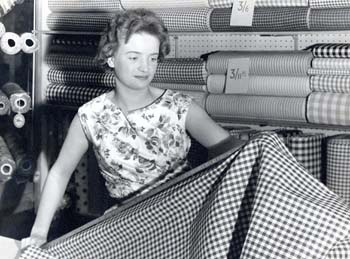 Our archive features documents from throughout Lincolnshire Co-operative's 150 year history. More information. This website is a joint project between Lincolnshire Co-operative and Bishop Grosseteste University College Lincoln. 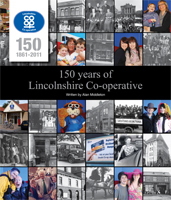 '150 Years Of Lincolnshire Co-operative' by Alan Middleton documents the history of Lincolnshire Co-op. Filled with fascinating stories and archive pictures it's a good read and available in shops now. Lincolnshire Co-operative was founded in 1861 by Thomas Parker, a joiner from Gainsborough. As a co-operative, from the very beginning we’ve placed a high importance on our regular directors’ reports to provide information to our members about our business performance, the latest developments and member benefits. Our physical archives contain all the reports from the very first in 1861 and the aim of this website is to make as many of those reports as possible accessible online in digital form. Each report gives a unique and fascinating flavour of its times. You can browse the facts and figures in detail or just enjoy a taste of times past. For convenience the title of each of our archive files uses the modern term ‘Directors’ Report(s)’ but, as you would expect, the style and terminology of these reports has changed over the years from those issued by the original Provisional Management Committee. In the early years, reports were produced quarterly; these days we produce a Half-Yearly Director’s Report and an Annual Directors’ Report.